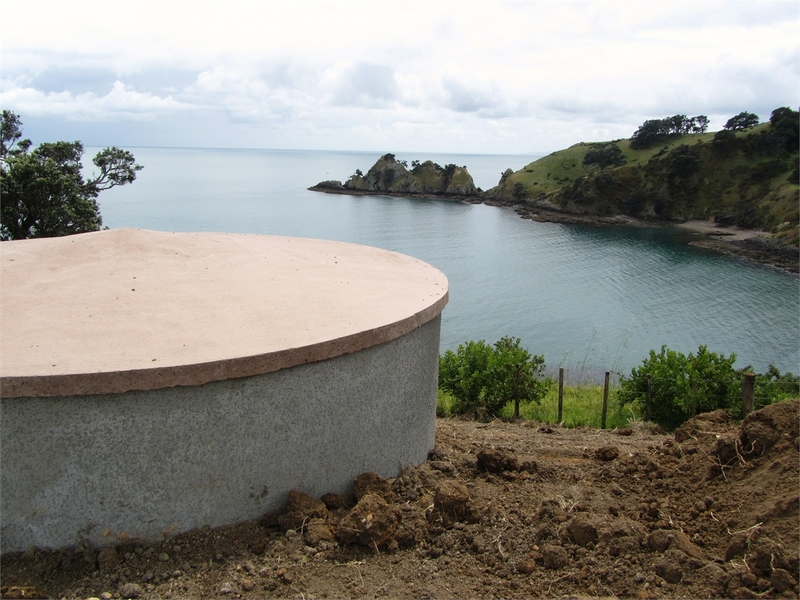 Why choose a concrete water tank? The steel reinforced concrete used in the construction of your water tank is designed to provided a continuous trouble free supply of cool clean drinking water. For quality and proven performance there is no alternative. The high strength of concrete enables your water tank to withstand the knocks that occur around the home or farm. If your tank is ever damaged it will not burst open, causing flood damage to your property. A concrete tank will not burn, rot or rust and is biodegradable. If damaged your concrete tank is repairable. As a very good natural insulator a concrete tank will ensure cool drinking water. Concrete tanks can be : painted / backfilled / buried or partially buried / built in a variety of sizes / built on your site.